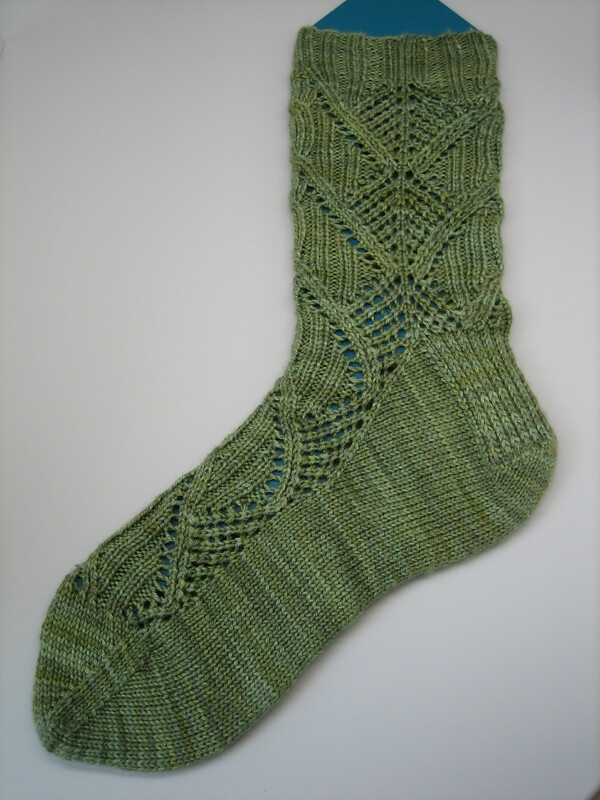 I finally finished one – just one of the pair- of the Vilai socks I am working on from Sock Innovation by Cookie A. Its in Silky Sock, colorway Monterey Cypress. 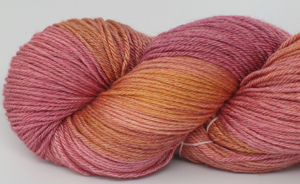 The lustre in this yarn really shows off the intricate patterning. I have 8 new colors of Silky Sock waiting and ready to be knit up into socks to pamper your feet. One skein is enough for most pairs. I played off the color forecast for some of the new colorways and some are just colors I like.